Major depressive disorder (MDD) is among the leading causes of chronic disease and a major contributor to the global burden of mental illness. 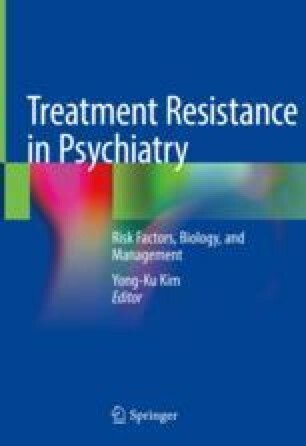 Although effective antidepressant medications are available, treatment resistance is a significant issue for patients. Cognitive behavioral therapy (CBT) is an evidence-based adjunctive or stand-alone psychological therapy for treatment-resistant depression (TRD). In addition to CBT, which has high demands on cognitive functioning, simpler approaches like behavioral activation (BA) are proven to be effective for depression. To overcome the scarcity of resources in routine care and the associated treatment gaps, the Internet is suggested for the provision of standardized programs to a broader range of patients. It could reduce barriers to seek help and improve the access to treatment. This chapter aims to provide an overview about the effectiveness and applications of CBT and BA.